Save an extra CDN$ 15.83 (94%). Buy the Kindle Edition instead. Comment: A readable copy. All pages are intact, and the cover is intact. Pages can include considerable notes-in pen or highlighter-but the notes cannot obscure the text. At ThriftBooks, our motto is: Read More, Spend Less. Imaginez-vous perdu dans le désert, loin de tout lieu habité, et face à un petit garçon tout blond, surgi de nulle part. Si de surcroît ce petit garçon vous demande avec insistance de dessiner un mouton, vous voilà plus qu'étonné ! À partir de là, vous n'aurez plus qu'une seule interrogation : savoir d'où vient cet étrange petit bonhomme et connaître son histoire. S'ouvre alors un monde étrange et poétique, peuplé de métaphores, décrit à travers les paroles d'un "petit prince" qui porte aussi sur notre monde à nous un regard tout neuf, empli de naïveté, de fraîcheur et de gravité. Très vite, vous découvrez d'étranges planètes, peuplées d'hommes d'affaires, de buveurs, de vaniteux, d'allumeurs de réverbères. Cette évocation onirique, à laquelle participent les aquarelles de l'auteur, a tout d'un parcours initiatique, où l'enfant apprendra les richesses essentielles des rapports humains et le secret qui les régit : "On ne voit bien qu'avec le coeur, l'essentiel est invisible pour les yeux." Oeuvre essentielle de la littérature, ce livre de Saint-Exupéry est un ouvrage que l'on aura à coeur de raconter à son enfant, page après page, histoire aussi de redécouvrir l'enfant que l'on était autrefois, avant de devenir une grande personne ! 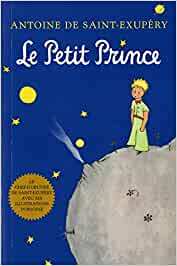 In 2000 Harcourt proudly reissued Antoine de Saint-Exupéry's masterpiece, The Little Prince, in a sparkling new format. Newly translated by Pulitzer Prize-winning poet Richard Howard, this timeless classic was embraced by critics and readers across the country for its purity and beauty of expression. And Saint-Exupéry's beloved artwork was restored and remastered to present his work in its original and vibrant colors. Now Harcourt is issuing uniform full-color foreign language editions. The restored artwork glows like never before. These affordable and beautiful editions are sure to delight an entire new generation of readers, students, children, and adults for whom Saint-Exupéry's story will open the door to a new understanding of life. 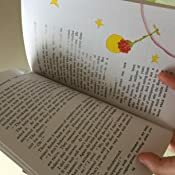 Start reading Le Petit Prince on your Kindle in under a minute. Antoine de Saint-Exupéry est né à lyon, le 29 juin 1900. Il passe ses vacances d'été au château de Saint Maurice-de-Remens (Ain), qu'il évoquera dans toute son œuvre. Le baptême de l'air qu'il reçoit fin juillet 1912 sur l'aérodrome d'Ambérieu-en-Bugey décidera de sa vocation de pilote. Il fait ses études au collège Sainte-Croix au Mans, puis en Suisse, et enfin à Paris où il échoue au concours d'entrée de Navale et de Centrale : il décide alors de suivre les cours de l'École des Beaux-Arts. En 1921, il fait son service militaire à Strasbourg, dans l'armée de l'air. Il apprend à piloter, et dès lors, sa carrière est tracée. Au sortir de l'armée, en 1923, il fait différents métiers. Il publie en 1926 son premier récit, dont l'action se situe dans le monde de l'aviation. La même année, Antoine de Saint-Exupéry entre comme pilote chez Latécoère, société d'aviation qui assure le transport du courrier de Toulouse à Dakar. Puis il est nommé chef d'escale de Cap Juby, dans le sud marocain, C'est à cette époque qu'il écrit Courrier Sud (1929). En compagnie de Mermoz et Guillaumet, il part pour Buenos Aires comme directeur de la compagnie Aeroposta Argentina. À son retour à Paris en 1931, il publie «Vol de nuit» (prix Femina 1931), dont le succès est considérable. En liquidation judiciaire, la société qui l'emploie doit fermer. Attaché à Air Franc en 1935, Antoine de Saint-Exupéry essaie de battre le record Paris-Saigon : son avion s'écrase dans le désert. En 1938, il tente de relier New York à la Terre de Feu : blessé au cours de sa tentative, il passe une longue convalescence à New York. Il publie alors «Terre des hommes», grand prix du roman de l'Académie française et National Book Award aux Etats-Unis (1939). Pendant la Seconde Guerre Mondiale, il est pilote de reconnaissance au groupe 2/33 (1939-1940), puis se fixe à New York. Il tire de son expérience de guerre «Pilote de guerre» (1942) et publie «Lettre à un otage», puis «Le Petit Prince» (1943), son grand succès. Il gagne alors l'Afrique du Nord et réintègre le groupe 2/33 malgré de nombreuses blessures et l'interdiction de voler. Cependant, Saint-Exupéry insiste pour obtenir des missions : le 31 juillet 1944, il s'envole de Borgo, en Corse. Il ne reviendra jamais. ANTOINE DE SAINT-EXUPÉRY, the "Winged Poet," was born in Lyon, France, in 1900. A pilot at twenty-six, he was a pioneer of commercial aviation and flew in the Spanish Civil War and World War II. His writings include The Little Prince, Wind, Sand and Stars, Night Flight, Southern Mail, and Airman's Odyssey. In 1944, while flying a reconnaissance mission for his French air squadron, he disappeared over the Mediterranean. 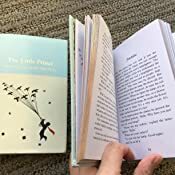 In 2000, the Richard Howard translation of The Little Prince was released to supercede the original of Katherine Woods from 1943. When a publisher comes to one to translate such a classic how does one ever turn them down and say the last translation was good enough! I guess one doesn't. Money and ego prevail. But `good enough' is the debating point. Is it good enough? Howard writes in his preface "...it must be acknowledged that all translations date." Do they? Would one clean up and modernise the language of A.A. Milne in Winnie-the-Pooh? or of Kenneth Grahame in the Wind In The Willows? Of course not. Then Howard modernises Katherine Woods' rendition, "cry" with his "weep" during the departure from the fox. And he thinks this is more `modern?' What self-contradictory nonsense translators can write to justify themselves and their publishers. I grew up on Katherine Woods' translation and prefer it over the Howard, but I must admit, when I look at my French copy, the Woods too has some elisions in translation. During the farewell from the fox, she translates: "It is the time you have wasted for your rose that makes your rose so important." Howard translates: "It's the time you spent on your rose that makes your rose so important." The French actually states: "C'est le temps que tu as perdu pour ta rose qui fait ta rose si importante." Literally this translates far more meaningfully and philosophically than either of the Woods or the Howard as "It is the time which you have lost for your rose which makes your rose so important." So that leaves me thinking both translations have their flaws. I am not sure why both of them would dilute the original like they have, for it has surely been diluted from what St. Exupery wrote and intended, but the Woods translation is very close to St. Exupery's text and meaning and brings a layer to think about beyond merely "spent" time. From 2011 another translation is on the scene, by Ros and Chloe Schwarz, and it needs comment too. First of all, the illustrations: it is anything but sensitively rendered as its publicity blurb asserts. The colors have been filled in like old cellular film animation, and are just flat, losing St. Exupery's delicate drawing and watercolour washes. The hunter, as another example, has had circles drawn completely around his eyes now making him look like a goth caricature. The drawing of the fox in his lair has completely lost all the grass that was so delicately drawn by St. Exupery. The beautiful sense of all his drawings, that they flowed, without borders, right off the page, conveying their own meaningful addition to this borderless story, has been lost on many many of the drawings by the illustrator putting boxes around drawings that don't originally have any. The boa constrictor for instance. The sheep, for instance. Here the baobab trees and the weeding of Asteroid B-612 are now set against the dark background of space, not the daylight of the originals. The tiger no longer looks fearsome; it looks like a cute questioning pussycat, its line-work tampered with as it has been on most of the drawings. This illustration tampering is unforgiveable and reason alone not to buy this book. The Schwarz translation has a third perspective on the French, but still, for example, loses the quote mentioned above from the fox. "Perdu pour" is translated here as "spent on" again. St. Exupery chose "perdu pour" for a reason; he did not write "passé," or any other verb. "Perdu pour" brings many other things, more layers of meaning, to mind. Then these translators do other things. They do things so blatantly wrong like alter his word "mouton" into "little lamb." If St. Exupery had meant little lamb he would have written "petit agneau" but he didn't. The little prince is not so dumb to not know little lambs grow up into bigger sheep. Also, in the geographer chapter, St. Exupery explains "ephemeral" as "menace de disparition prochaine," "a menace which disappears soon." The Schwarzs translate that phrase as "likely to die very soon." Clearly they completely don't get St. Exupery's thought and subtlety and at the same time possess the unbelievable arrogance to write words that St. Exupery did not. They clearly don't have the soul of poets or philosophers ideally necessary, nor even the workman-like craft to simply translate what is there. Their approach to translation, like Howard's is unforgivable, and is another reason this book too should absolutely just sit on the rubbish heap until someone re-does it properly. The book itself is charming: tiny, hardcover, with gilt page edges and a ribbon marker. Full marks for being sturdy and beautifully portable, but otherwise... do yourself a favour and stay away from it too. I recently found another translation of which I was unaware, from Alan Wakeman, 1995 (hardcover), illustrated from St. Exupery by Michael Foreman. Michael Foreman is one of my favourite illustrators and I have many of his books. Works in beautiful watercolours. I wondered. When it arrived I knew I was in for something special. Wakeman (he says in the preface), started translating in 1979, not under contract, but simply because he was not satisfied with the Katherine Woods' translation. He worked in his favourite retreat by the sea, overlooking the Golfe de Giens, which turned out, from the beginning discovery in 1993 of St. Exupery's sunken plane, to overlook the crash site in the sea where St. Exupery was lost. It took another decade or so to absolutely confirm that this is where St. Exupery went down, but Wakeman was apparently eerily in touch with something from St. Exupery through their labours of love. Wakeman's translation is pretty accurate. He still translates "perdu pour" as "spent on," but okay. He translates "ephemere" as "doomed to disappear soon." Nice, and with a layer of fate the Schwarz's miss, but which Woods captures, albeit a bit more clumsily with "in danger of speedy disappearance." Wakeman has his quirks though. He translates "blé", the colour of the little prince's hair, as "corn." Technically correct, but an odd choice usually considered much more a secondary meaning to the more common one of "wheat." While a kernel of corn may be the colour of the little prince's hair, the kernels are not seen under the corn husks in a field of corn. The tassels, while colour correct, are overwhelmed in a corn field, especially from a fox's point of view, by all the green and are not really seen either. Wakeman seems to have never spent any time by a corn field to know that, unlike the fox who lives there, so Wakeman does not get that his quirky translation allusion is a stretch in reminding one of the little prince's hair colour. I find it rather a clash, or at the very least a break in the lovely flow St. Exupery spent so much time and talent composing, and work editing to create in his original work. Foreman's illustrations are what is special about this Wakeman translation. All of the St. Exupery ones used, which is most of them, have been taken and re-worked. The line work and watercolour is far more skilful than St. Exupery, but extraordinarily faithful, and retains that childlike naiveté. It really takes a second look to realize it is not actually St. Exupery's line work with better color. All drawings have been given color, which brings a satisfaction absent from some, even in the original publication, where for example, I have been sorely tempted to pull out my own paint box for the little prince watching the sunset. This drawing is clearly a watercolour originally, but has only ever been published in black and white. (Why?) Here all the drawings are now shown in colour. But where Foreman has really excelled is in introducing 8 beautiful full page or double page paintings of the little prince and the pilot: comforting the little prince when he was sad, walking with the little prince in his arms when exhausted to find water, sharing his drawings with the little prince, running with his revolver to kill the snake if he could... whole new enhancements to the story, bringing more forward the relationship that it was, not just story-telling about the little prince. For it is not just the story of a special individual, but also one of a special relationship, and the special place in our lives of special relationships and what makes them special. The Woods translation is still head and shoulders above the new ones, except for the Wakeman. Both are far more evocative of what was intended. The Foreman illustrations with the Wakeman translation I think makes it even better. 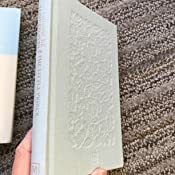 The Woods translation hardcover is now a collectors item and can often be very expensive and harder to find in the U.S. Easier in Britain (and isn't that a whole other very interesting essay on the lovely differences it indicates). The Woods edition appears to be available economically as a paperback (white cover, usually pre-2000 publishing date), but with no color illustrations. The Howard translation, both hardcover and softcover (blue cover), both with color illustrations (and some black and white), is easily available at a quite reasonable price. The Schwarz translation is available in England and Canada easily, but hard to locate and has very poor notes on amazon.com. The Wakeman/Foreman collaboration (hardcover) can still be found used, in good shape, economical, for now, but also as a very expensive collectors item. (There are, I think, copyright issues until 2044; another interesting essay). I cannot vouch for the paperback version, publications of which often get cheap and sometimes are done with black and white illustrations only, like the Katherine Woods paperback and the Testot-Ferry translation (see below and see my review of Michael Foreman's Arthur High King Of Britain for more.). My recommendation is buy the best available, the Wakeman/Foreman hardcover edition, or the Woods hardcover, (or both; each have their merits and shortcomings), and if your French is alright, get a French version too. It is worth working through Le Petit Prince. You will learn more about life and language and different cultures in doing so than in many larger weightier, more adult tomes and our children will too from this timeless story with so many layers and such depth in its simplicity. I have also discovered there is enough of the Irene Testot-Ferry translation (Wordsworth) on the amazon "read inside" feature to render an opinion on it too. Cumbersome. Archaic, and not in a good way like the Katherine Woods. The Testot-Ferry is awkward, incorrect: e.g. "un peu," "a little," is translated as "more or less." "I flew more or less all over the world." Seems to lack the modesty intended by St. Exupery and the pilot here in the story which "a little" conveys. So she doesn't really get it. (And by the way, Wakeman leaves out "a little" completely. Rather a short-coming). The Testot-Ferry translation is awkward. She opens a paragraph with: "As a result of which I have been in touch, throughout my life, with all kinds of serious people." for "J'ai ainsi eu, au cours de ma vie, des tas de contacts avec des tas de gens serieux." which more correctly and simply translates as "I have had, through the course of my life, lots of contact, with lots of serious people." Also, all the drawings in this edition are the most abysmal black and white hack reproductions. So avoid this translation despite its bargain basement price. You get what you pay for. There are better (more accurate) translations and more richness and layers of meaning in the Wakeman and the Woods translations, which are missing and awkward in the Testot-Ferry, and which such a classic piece of literature deserves. 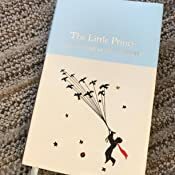 If you have a Cuffe translation of The Little Prince it too is very rare and likely will never be re-printed. The Wakeman edition is becoming such too, sadly. The reason for this is that the Little Prince fell out of copyright in England after fifty years, so Penguin and Pavillion, actually anticipating this, did the Cuffe version and the Wakeman version respectively. What they didn't anticipate was that later in 1995 the UK harmonized its copyright law with the EU where copyright is 70 years and St. Exupery is allowed an additional 30 years due to his premature death in exceptional service to his nation and The Little Prince, like a handful of other titles, fell back into copyright there. Hence The Little Prince will not now fall out of copyright in Europe or England until 2045. This means, alas, likely no Folio Society edition or any other UK or European one for quite some time. In the U.S. of course, they ignore all this, and do their own thing, hence the Howard translation in 2000. Additionally, as I understand it, there are some differences among the family. St. Exupery's birth family appears to have approved of the Wakeman translation, but St. Exupery's wife Consuelo (and now her family), I believe, own the copyright, and my guess is, have a pretty strict and exclusive agreement with Harcourt Brace in North America. Why would HB not, for this incredible money-maker that most publishers would love a piece of. Which means yes, the Katherine Woods version is still available in England where it is beyond HB's taste and control, thankfully. If you have a Cuffe translation of The Little Prince it too is very rare and likely will never be re-printed. The Wakeman edition is becoming such too, sadly. The reason for this is that the Little Prince fell out of copyright in England after fifty years, so Penguin and Pavillion, actually anticipating this, did the Cuffe version and the Wakeman version respectively. What they didn’t anticipate was that later in 1995 the UK harmonized its copyright law with the EU where copyright is 70 years and St. Exupery is allowed an additional 30 years due to his premature death in exceptional service to his nation and The Little Prince, like a handful of other titles, fell back into copyright there. Hence The Little Prince will not now fall out of copyright in Europe or England until 2045. This means, alas, likely no Folio Society edition or any other UK or European one for quite some time. In the U.S. of course, they ignore all this, and do their own thing, hence the Howard translation in 2000. Additionally, as I understand it, there are some differences among the family. St. Exupery’s birth family appears to have approved of the Wakeman translation, but St. Exupery’s wife Consuelo (and now her family), I believe, own the copyright, and my guess is, have a pretty strict and exclusive agreement with Harcourt Brace in North America. Why would HB not, for this incredible money-maker that most publishers would love a piece of. Which means yes, the Katherine Woods version is still available in England where it is beyond HB’s taste and control, thankfully. 5.0 out of 5 starsRempli de belles métaphores. À chaque chapitre, on peut y retrouver une métaphore qui nous pousse à refléter sur quelque chose qui nous touche de près ou qui nous a concerné il était une fois. À relire une fois que l'on soit une grande personne comme il les décrit dans le livre, peut-être, afin de pouvoir retrouver son coeur d'enfant. par Philip Giordano, trop moderne, sans âme; je remarque que la version (avec cd) n'est plus offerte et c'est aussi bien car le narrateur (non identifié) a une grosse voix qui fait peur, vraiment affreux; le seul passage nouveau et intéressant est un petit chapitre à la fin avec photos expliquant qui était Saint-Exupéry. En autres mots, c'est peut-être une version pour collectionneur mais achetez plutot la version classique qui garanti que les dessins sont originaux et en couleur; ils sont bien plus inspirants. Évidemment, l'histoire est la bonne et c'est le plus important. P.S. : La version Kindle est la bonne. 1.0 out of 5 starsKindle version suffers from poor formatting. Poor formatting and missing content makes the title difficult to read.